When you decide to remodel your Waukesha home, Weather Tight is ready to help you with the process. Our family-owned and -operated company has been helping customers for over 30 years. Since 1986, we’ve served over 25,000 satisfied customers—and now it’s your turn. Whether you’re looking to install all new windows or replace yours, we can help. Stop by and tour our West Allis showroom to demonstrate our products and to get some ideas as to what you’re looking for. Our service area includes nine counties throughout Southeastern Wisconsin and it’s helped us become Wisconsin’s most recommended remodeler. Give us a call at 414-459-3874 or contact us online. With an A+ BBB rating and a number of positive customer testimonials, you’ll see why we are the right company to go with. Installers arrived on time and began work immediately. During the install all floors were protected and all furniture was covered. Robert, the main contact, explained everything that was going to be done and kept us informed as the install progressed. After install, all debris was removed, windows were cleaned and area was cleaned.The crew consisted of Robert, Harley, Pedro, and Angel. I am very happy with our new kitchen window. 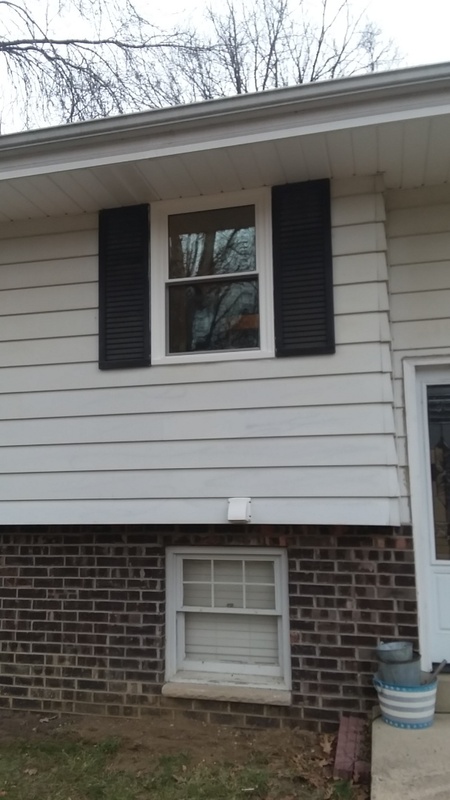 It was the only window in the house that was installed before we went with Weather Tight windows. The window was a subpar products compared to our other windows. The kitchen is so much brighter with this fantastic window from Weather Tight. Great work on installation of patio and screen door. At Weather Tight, we perform superior window installations that offer reliable protection against the weather. We also guarantee product installations against defects, or your money back. Whether you’re looking to replace a rotting window or update your home with all new energy-efficient windows, we can help. We offer sliding, garden, double hung, casement, full-frame, or bow and bay windows to fit your Waukesha home. Plus, there are customization options including window and hardware color, grid and casing, and glass. 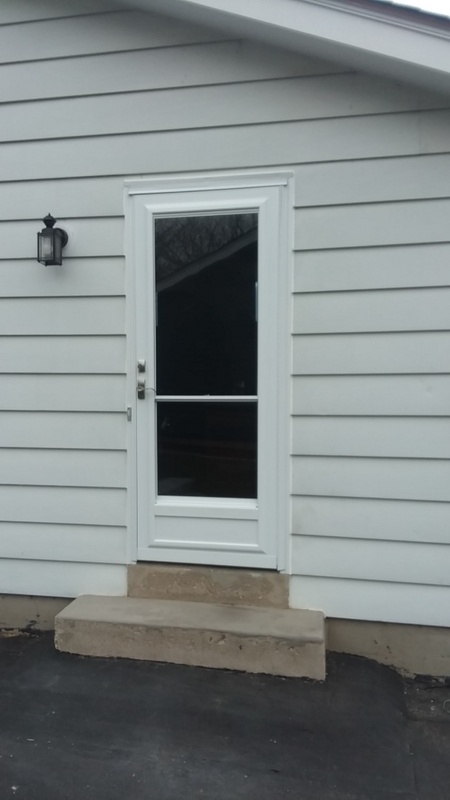 We don’t have stock windows that we fit to your home—we create windows to fit the exact opening you have and customize it to be exactly what you’re looking for. Stop by our showroom to see some of our options and let’s start talking about what our team can do for you. If you’re looking for a new front entry door or a back patio door, we’ve got the solutions for you. Our doors can be customized, from the glass and color to the handle selection, to be exactly what you’re looking for. Our installers are proud to be Therma-Tru Certified which means they’ve completed a rigorous training program. Visit our showroom so we can show you entry, patio, and fire doors today. And to give your home an energy-efficient boost, new siding can be the perfect answer. Our re-siding options includes an endless array of colored vinyl so you can choose the ideal color for your Waukesha home. We’ll even help you select complementary shakes and scallops to beautifully accent your “new” home. Plus, with our free in-home, no-obligation consultations and price quotes, we can discuss your new siding options without you having to make any quick decisions. For Waukesha homeowners who are looking for a high-quality options that will last a long time, metal roofing is the perfect choice. Metal roofing is 100 percent recyclable and good for the environment. Plus, a metal roof is lightweight and provides a high-end look at an affordable price. You can also opt for a more traditional asphalt shingle roof which uses durable shingles to protect your home against the weather. Not only are they ice and water shields, they are also guaranteed with a wind protection warranty up to 130 mph. And you can always trust that our installations are accurate and done properly from start to finish. Without the proper roofing system, you could be wasting money. To ensure your home is protected, we’ll also recommend new gutters and gutter protection which can help prevent your gutters from clogging with leaves and other debris. And we’ll finish the project off with soffit and fascia to ensure your home is completely covered. When Waukesha was first settled in 1834, the area was mostly forest and wild prairie. The name Waukesha is derived from the Algonquian word meaning “fox” or “little foxes” which is fitting since the Fox River runs through it. To learn more about the history of the charming city, you can go on a sightseeing walking tour throughout historic downtown. Along the way you can also check out many area shops including Allô Chocolat and Antiques and Uniques on Main. Or grab a bite to eat at one of the favorite area restaurants like Taylor People’s Park or 225South/Mia Famiglia. Waukesha truly has something to offer each and every one of its residents and visitors. Find out for yourself! When you are coming to our showroom from Waukesha, drive east on East Broadway for 8.8 miles as it becomes West Cleveland Avenue. Turn right onto South Root River Parkway and then left onto South Wollmer Road. Take a final right onto Milwaukee NN/West Oklahoma Avenue and you will see our location on the right. Come on in and take a look around our expansive showroom!